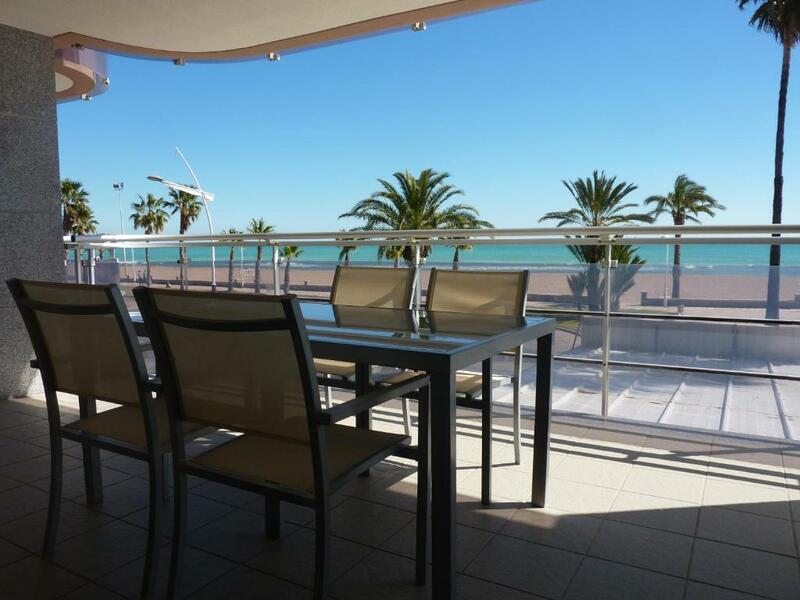 Near the beach with sea view and good balcony and easy walking distance to Peniscola old town. It was good to have an allocated parking space. GREAT LOCATION! Loved the apartment! Sadly the weather was not helping but its a great location and very comfortable! Will definitely be back, hopefully in summer. This is an apartment, rented in February. Great weather, warm sun and lovely promenade for walks but shops and entertainment venues of ANY sort shut for the season. The location was great. Directly opposite the beach. Proximity to the beach and a short walk to town and castle. Great views of the Med and castle. Safe free parking next to police station! Very spacious L-shaped balcony. Excellent restaurants and tapas. Try I Avant just along the road to town. 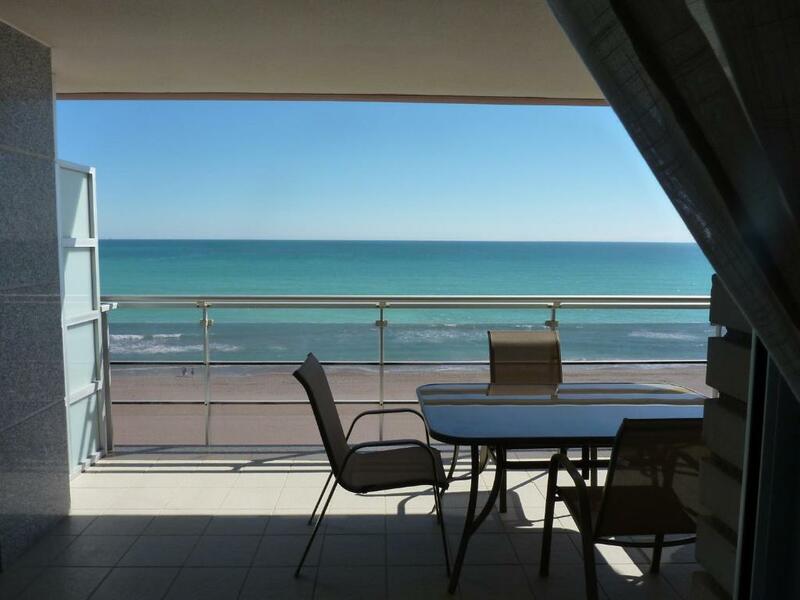 The apartment had a huge balcony with a spectacular sea view. It was comfortable and reasonably well equipped. Check in was efficient and we had a free private parking space. It is a short walk to the castle. There are other facilities including a supermarket close by. We had appartment on the 7th floor with sea view and big balcony. The view in the morning at the rising sun was priceless. There is private parking just next to it and Maite waited fo our arrival allowing for late check in. The small dishwashing liquid and sponge was provided - so nice as it´s something I always forget when I go to appartments for a short stay. Spacious rooms and balcony, with the exception of the bathroom. 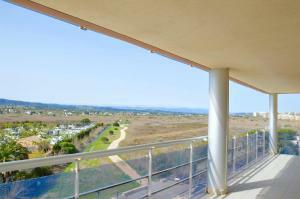 Kitchen adequate, fabulous views from balcony, cool marble flooring, nice little utility area with washing machine . Walking access to all area of the resort made it a great holiday, and nice fish restaurant below. Little noise but you could hear the waves on the beach which was nice and when you closed the windows it was very quiet. 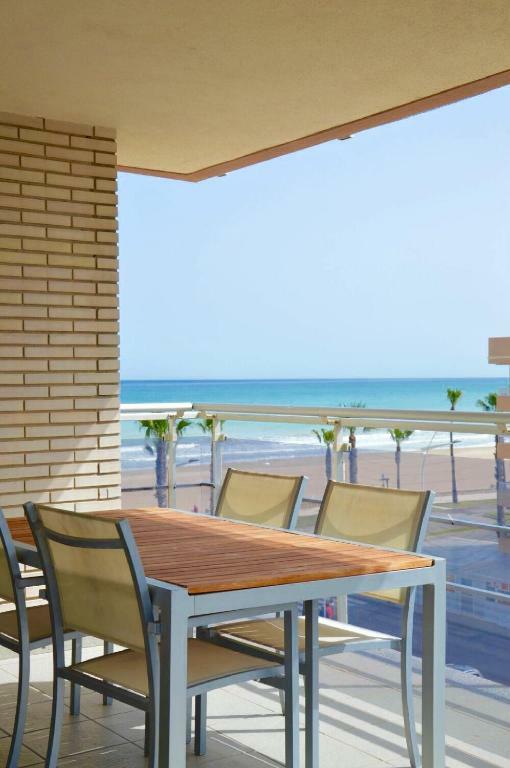 One of our top picks in Peniscola.Offering a private furnished terrace with stunning sea views and a shared garden, Apartamentos Deluxe Peñíscola is a beachfront apartment located 1.6 mi from Peñíscola city center. Featuring functional décor, the property comes with 1 double room, 1 twin room and 1 bathroom. The living room includes a sofa bed, dining table and flat-screen TV. The kitchen is equipped with a washing machine, oven and microwave. Apartamentos Deluxe Peñíscola offers a shuttle service at an extra cost. 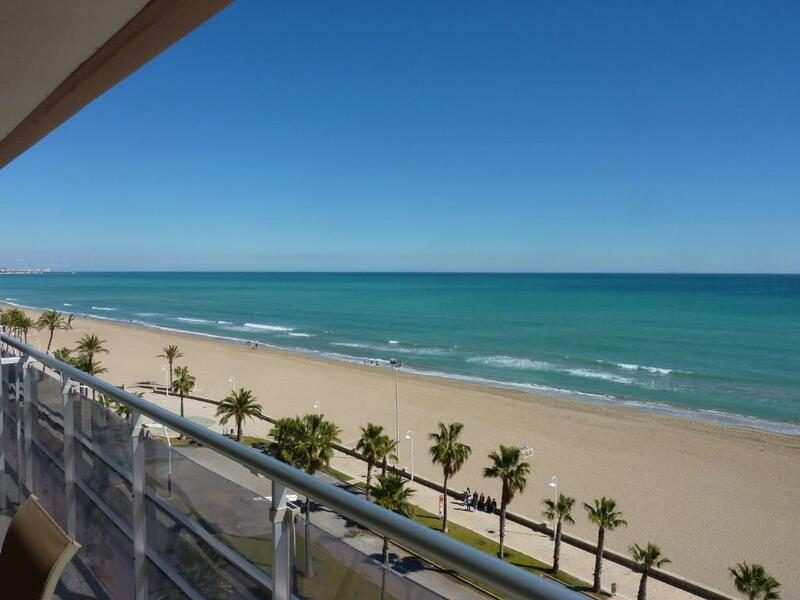 Castellón is a 55-minute drive from Apartamentos Deluxe Peñíscola and Alcanar is 16 mi away. There is free parking on site. 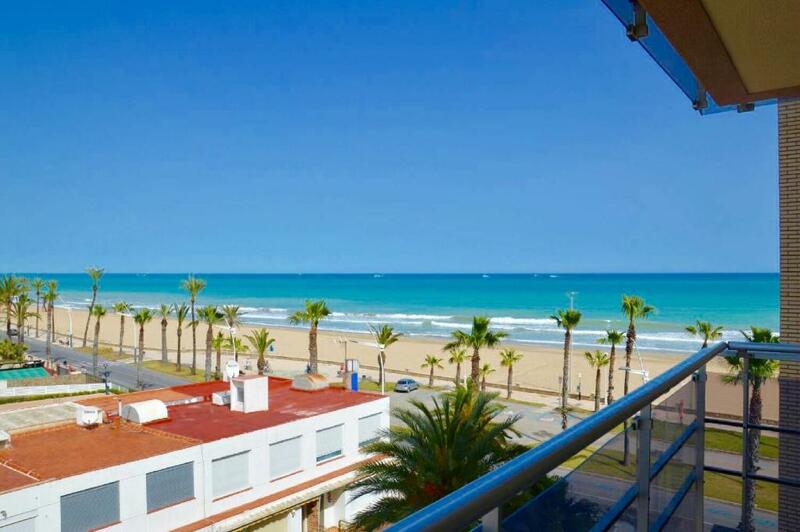 When would you like to stay at Apartamentos Deluxe Peñíscola? 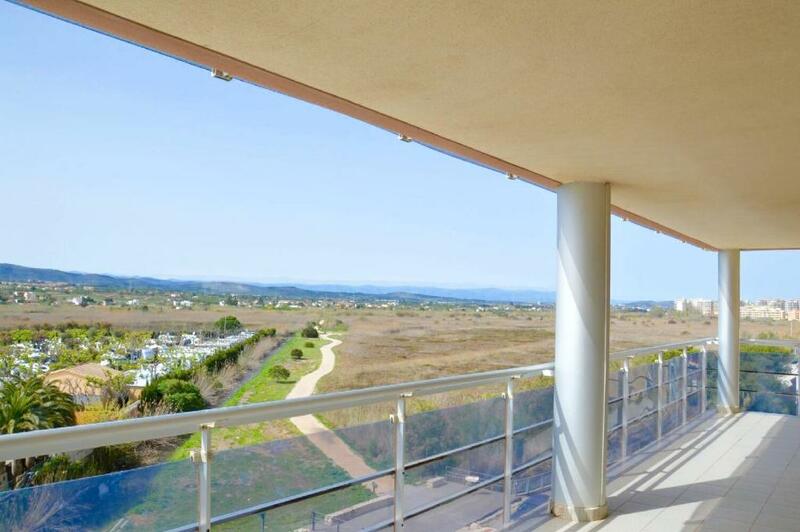 There is a private furnished terrace with stunning sea views and a shared garden. Por las vistas y la ubicación. Somos una empresa gestora de patrimonio, tenemos sede en : Peñiscola, Alcocebre, Oropesa, Benicasim, Ibiza y Formentera. 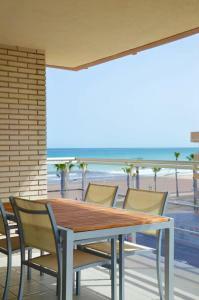 House Rules Apartamentos Deluxe Peñíscola takes special requests – add in the next step! Apartamentos Deluxe Peñíscola accepts these cards and reserves the right to temporarily hold an amount prior to arrival. Expected some winter sun but first floor facing east was not great after 10.30 am. Heating should have been on before we arrived. The resort was shut down. It was like the aftermath of a nuclear explosion - nowhere was open. Tourist office told us about the Castle (which was spectacular!) and the only other attraction was the arrival of the Fishing Fleet in Port at 4 pm. Nothing else to do. Must be great after Easter but as a Winter stay it lacks life. 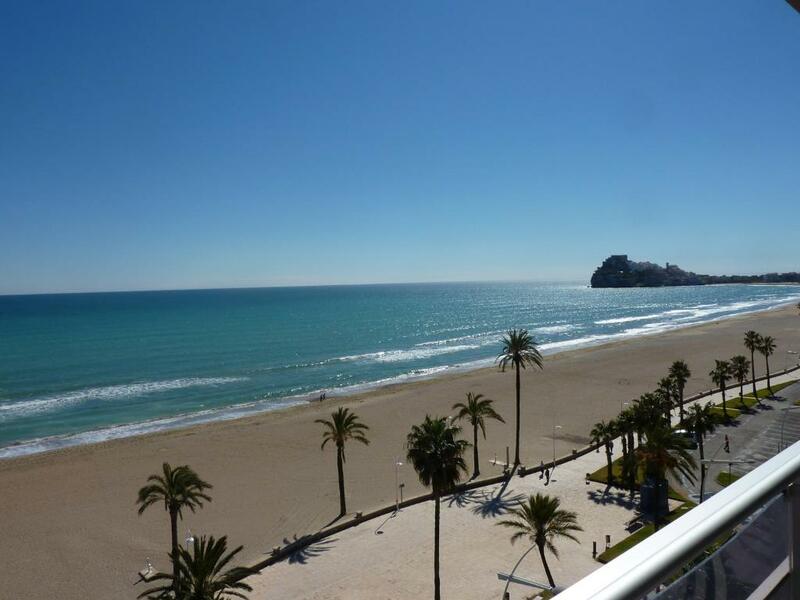 Stay in Sitges for a much better holiday. The shower almost had too much pressure. It did shoot water onto the bathroom floor and so we had to be careful with the with the setting on the tape. We told our host about the issue and she said she would have it fixed. 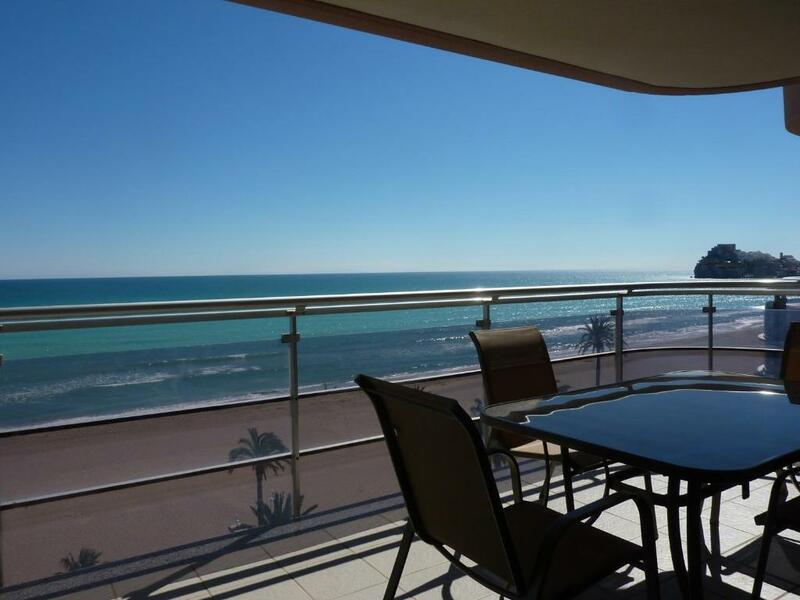 The apartment was in a great location with a great view of the beach. The balcony/terrace was huge. Having a washing machine in the unit was a bonus for us. Our dog loved the huge terrace. The office closes at 8pm so if you arrive late in the evening you need to book elsewhere. The links between Benicarlo train station and Peniscola are not great. A taxi cost 20 euros. Despite having asked for a quiet location, we were first allocated an first floor apartment directly above a pizza restaurant. After discussion we were moved to a much better location. However, the apartment was not very clean and, although the apartments are called "deluxe" ours had seen better days. Very uncomfortable bed-settee to sit on. 1. The wait till 5pm to gain a key .We pay for that day 2. First apartment pokey, noisy and broken hot water system. Situated at the back of the complex. 3.,We wasted hours waiting for a change of apartment 4. Second apartment ran out of hot water after one average shower. Too bad it is not possible to book this apartment during summer! Not enough towels for 4 but supplied immediately on request by helpful staff. The apartments are not in the best conditions, specially the doors don´t have a bar in the bottom so when windy or cold it blows all inside the apartment (including sand). For this to be the perfect apartments perhaps a little renovation would be necessary. Great location, great value for the money we paid. The oven couldn't be used. It was advertised as suitable for up to six people but it really was only big enough for two adults and two children. There was nothing to wash your hands in the toilet on arrival. uncomfortable beds, dirty bathtub, broken door to the bathroom, staff speak only in spanish. But the worst was that they charged us 50 euro after check up, because we left keys in the apartment not in the office, but they didn't give us completely instruction by check in. I didn't recommend GB Grupo Boutique - scammers! No towels, no soap or shampoo, very little amount of detergent for dishes, view not as shown on the pictures- confusing though. And walls from paper-mache we could hear absolutely everything. 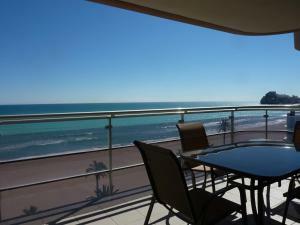 Very nice view, however we have expected direct Sea view as it was shown on the pictures. Very close to the beach, beautiful view on the fort. Clean.